Markos Baikas heads one of three Canadian teams which will compete at the International Junior Team Cup. Markos leads a Taiso contingent of stalwarts Davey Boschmann, Ashton Kotlar, Noah Royer and Jordan Carrol to take on the rest of the world. For the 24th time the best junior gymnasts from around the world will meet on April 5th and 6th in the large sports hall of the Sportforum Berlin to test their form. The traditional tournament in Berlin offers a fantastic opportunity in a team competition to test the current level of performance of the athletes, to try out new things and to target the establishment of a successful team. Four gymnasts belong to a team and compete against each other in 3 age categories from 12 to 18 years. The following gymnasts were selected to Team Saskatchewan to compete in the Canada Winter Games, February 15 to March 3, Red Deer, Alberta. 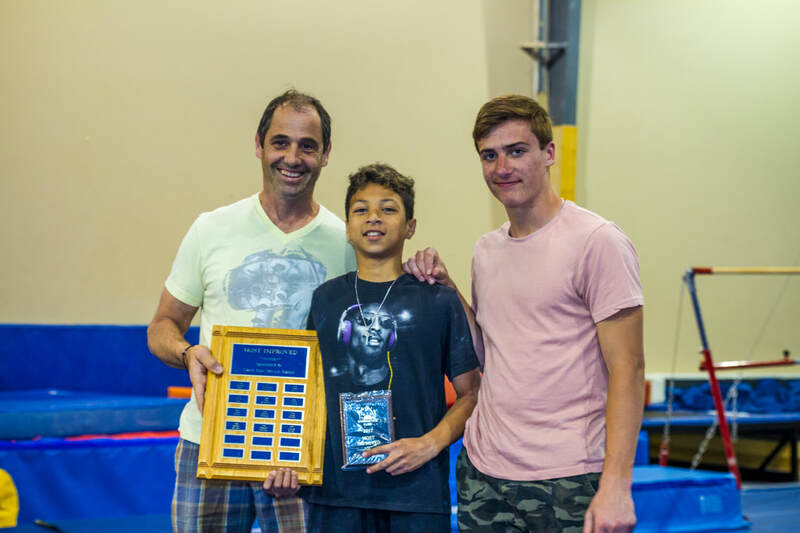 Awards were handed out at Taiso's year end social. Congratulations to the following gymnasts for their hardwork and commitment. TAISO BOYS BACK FROM BERLIN! Noah Royer and Ashton Kotlar, along with Taiso/Canadian Junior Head Coach arrived back early this week from the Berlin Cup. Noah and Ashton, with 30 and 59 competitors in their respective age groups, faced strong competition from across Europe. This was their first major international competition and each performed extremely well. I expect this will be the first of many times that Noah and Ashton represent Canada! Taiso will be well represented at this prestigious event. Jesse Tyndall, Ashton Kotlar and Noah Royer will accompany Head Coach Markos Baikas to the competition. Boys, Taiso is behind you all the way! Elite Canada is one of the primary national competitions which brings together the top athletes from across Canada from the novice, junior, and senior categories. In men’s artistic gymnastics, the event will identify the top junior and senior athletes for the competitive season and is part of the selection process for the national teams. In women’s artistic gymnastics, gymnasts in the novice, junior, and senior categories will seek qualification for High Performance status, which gives them the right to compete in those categories at Canadian Championships and to be eligible to be considered for national teams and potential international competitions. Taiso is excited to host this annual competition. This year, for the first time, we are offering MAG and WAG events. Please click on the links below for further information or to register for the event. The Tyndall Boys invade the US! 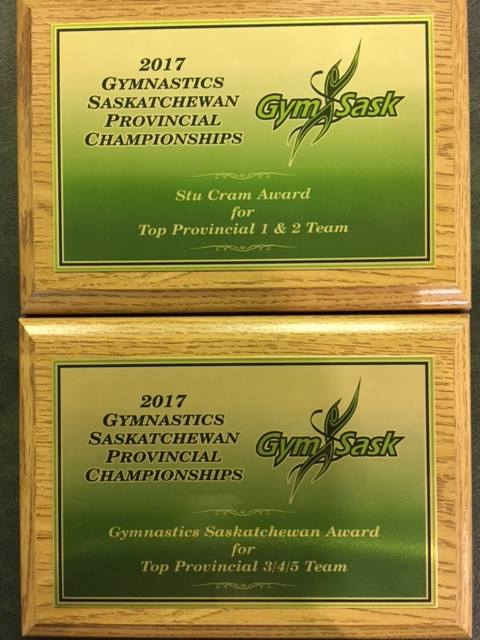 The Tyndalls might just be Saskatoon’s top gymnastics family, and now they have the paperwork to prove it. The two oldest brothers in the family are already competing in the NCAA’s Big Ten Conference, and with youngest Jesse Tyndall now committed to Ohio State University, the family has a hat trick of scholarships to Division 1 schools. "Really big relief. It was the most exciting time in my life, but also really stressful,” said Jesse, a Grade 12 student at Holy Cross High School, of choosing Ohio State. “Having to decide, to this point, was probably the biggest decision I've made in my life so far." 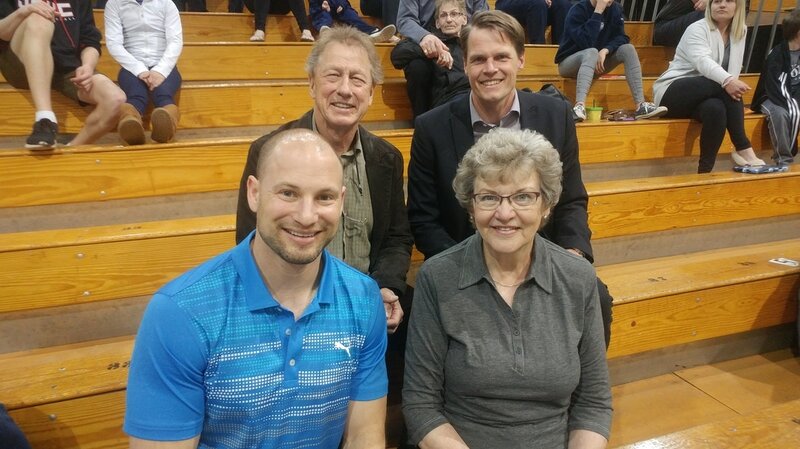 Jesse’s oldest brother, Wyatt Tyndall, is in his junior year at Penn State University and notes a big difference between the atmosphere at Taiso Gymnastics in Saskatoon, where the brothers train, and the competition in the NCAA. Mitch Tyndall, the middle brother and a freshman with the Nebraska Cornhuskers, agrees. Their parents, Janice and Don Tyndall, are now soaking up all the time they have with Jesse, before all three of their sons live and compete south of the border. Now they need to figure out who to cheer for when all three brothers start to compete against each other. “When they do compete against each other, it’s going to be exciting, but we’re definitely going to have to wear a piece of clothing of this and a hat of that,” laughed Don. Elektra and Allan's Groups put on a skills showcase for family and friends. It won't be much longer before the boys are competing in sanctioned meets. Great work guys! Ashton Kotlar, Noah Royer, Hudson Miller, Brody Benson and Jordan Carroll will accompany Taiso Head Coach/Canadian Junior National Team Coach Markos Baikas to Dallas for the Valeri Liukin Invitational. Since 1996, WOGA (World Olympic Gymnastics Academy) has hosted the Valeri Liukin Invitational, which attracts top teams from across the USA and the world. One of the largest and longest running international competitions in the USA, Valeri Liukin brings together a magnificent field of competitors, and is an outstanding opportunity to compete with future Olympic stars. Let's all give Ashton, Noah, Hudson, Brody, Jordan and Markos a warm Taiso sendoff to the great state of Texas. We are all in your corner! Fantastic job Boys!!! Hard work and dedication always pays off. Training times will be based on registration. Last day of regular training is June 30. Regular fall training will start on September 4th. Training times will be based on registration. This group will select 4 of the 5 camps. Last day of regular training is June 24. Amilia will be used to register for the camps. You will receive a passcode once the information has been uploaded to Amilia. Please note if you do not register your son for a specific camp, and he shows up for that camp, there is no guarantee he will be able to participate. Cost: Pay the monthly fee of $ 190.00 for the months of July and August. Pick 3 of the camps. Amilia will be used to register and pay for the camps. You will receive a passcode once the information has been uploaded to Amilia. Please note if you do not register your daughter for a specific camp, and she shows up for that camp, there is no guarantee she will be able to participate. Taiso will be well represented at the Western Canadians in Brandon this weekend. Josiah Besler, Riley Benson, Brody Benson, Eliot Mack, Noah Royer, Brian Dignean, Jordan Carroll and Hudson Miller will be looking to strike Prairie Gold. Good luck boys! Go the website address below, as there will be live streaming of the event. 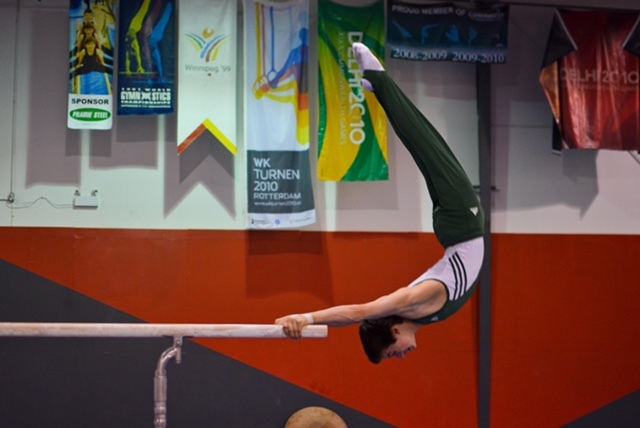 The Gagnon is a skill on parallel bars that is described as a basket roll backwards with tuck salto half to upper arm hang and recognized as a C element. The skill was named after him following his performance of the element at the 2016 Szombathely World Challenge Cup, his first ever World Cup event. He now becomes one of a number of Canadian athletes to be put into the code which on Parallel Bars includes Alan Nolet and Philip Delesalle. Congratulations Joel! ​Joel, originally from Regina, SK, moved to Saskatoon to train at Taiso Gymnastics Club during his last two years of high school. After high school he received a gymnastics scholarship to the University of Minnesota where he is currently a junior. Taiso would like to thank the following sponsors for their involvement in our meet. Our Gymcats competed in their first meet of the season at the Marian Classic in Saskatoon. Ekaterina Pletneva, Talia Tran, Jade Tran, Hannah Richard and Andrea Fernandez all put in fantastic performances for Taiso! Ekaterina placed 3rd in the All Around, with a 2nd (Bars), 4th (Floor), 4th (Vault). Talia placed 6th in the All Around, with a 3rd (Vault). Jade placed first in the All Around, with a first in Vault, Bars and Floor. Hannah placed eighth in the All Around, with a 4th (Bars). Andrea placed ninth in the All Around, with a 7th (Floor). Congratulations to Coach Heather Sutherland for this tremendous start to the Gymcat Season! Teague King, Anderson Loran and Mitch Tyndall will be representing Taiso and Saskatchewan at Elite Canada, February 2-5 in Halifax. Markos Baikas will be with our boys as they take on the rest of Canada. Jamie Goulet will be attending the event as a judge. 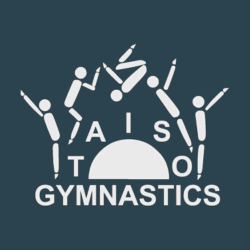 Taiso gymnasts performed exceptionally well in the Big D this past weekend. Jesse Tyndall, Mitch Tyndall, Noah Royer and Teague King competed in a talented field of international competitors, from the USA, Japan, Russia and Ukraine. Noah, in his first international competition, placed 13th in the individual all-around in a field of 62 competitors. He also placed an impressive 7th on pommel horse. The future looks bright Noah! Teague competed in the Elite level, with an incredibly strong field of European junior champions and olympians. Elite competitors from the powerhouse nations of Japan, USA, Russia and Ukraine finished ahead of Teague, who placed 13th in the individual all -around. Teague placed 10th on high bar, along with an 11th on pommel horse. Great start to the season Teague, against truly world class competition. Mitch continues to shine, placing an impressive 9th in the individual all-around in a field of 52 competitors. Among his impressive results was a 1st on pommel horse, an 8th on parallel bars and a 9th on rings. The season looks very promising Mitch! Jesse had some exceptional individual results, with a 2nd on floor and a 1st on pommel horse. Jesse competed in a strong field of competitors. Jesse's season looks promising indeed! A special thank you to Markos and Jamie for coaching our boys in the big D. Their training efforts were rewarded, and we are so proud here at Taiso! Jesse Tyndall, Mitch Tyndall, Noah Royer and Teague King will accompany Taiso Head Coach/Canadian Junior National Team Coach Markos Baikas to Dallas for the Valeri Liukin Invitational. Let's all give Jesse, Mitch, Noah, Teague and Markos a warm Taiso sendoff to the great state of Texas. We are all in your corner! Noah Royer, Jordan Carroll and Hudson Miller will be accompanying Taiso/National Junior Team Head Coach, Markos Baikas to Montreal, for the GYM Can All Star Training Camp. The MAG All Star Camps are a component of the Canadian MAG system for the long term elite development of upcoming athletes and coaches. The camps target young male gymnasts currently competing in the Elite 3 or Elite 4 categories and their coach. Noah, Jordan and Hudson were selected to train at the camp, with 25 other gymnasts from across the country. The camp will feature one-two sessions per day in the gym, as well as coach and athlete sessions during the day. Taiso congratulates Noah, Jordan and Hudson for their selection to this important step in their development. They have earned their spots based on hardwork and effort, and the wisdom of their coach. Congratulations to Jesse Tyndall, who had excellent results at the Olympic Hopes Cup. Jesse placed Fourth in the Horizontal Bar; Sixth in the Pommel Horse and placed Seventeenth out of Thirty Eight overall. You have made Taiso and Canada so very proud. Jesse was part of Team Canada that captured Gold in the all around team competition. Taiso Head Coach, and Canadian Junior National Team Head Coach Markos Baikas can be proud of how his athletes performed at the meet. A great start to season! Congratulations to Jesse Tyndall, who will be competing in the Olympic Hopes Cup, November 1-6, in Liberec, Czechoslovakia. Jesse will be competing with other members of the Canadian National Junior Team, coached by Taiso Head Coach, and Candian National Junior Team Head Coach, Markos Baikas. Go Jesse! O' Canada! Congratulations to the following Taiso athletes named to the Sask First MAG teams. We are VERY proud of Taiso athlete Wyatt Tyndall. He has earned a gymnastics scholarship to attend Penn State!! Check out the clip from CTV Saskatoon. Jesse Tyndall has been selected as the Subway Athlete of the Week. Way to go Jesse! Special congratulation to the following Taiso athletes who placed top 3 All Around/top 3 in individual events at PA Aerials Survivor Invitational February 27, 2016. Congratulations to everyone on a successful meet! Congratulations to Taiso athletes who competed at Elite Canada 2016, February 4-7, 2016. Mitch Tyndall - 9th AA, event finalist on pommel horse. CONGRATULATIONS to the following athletes who have been nominated for Athlete of the Year! Noah Royer - Taiso - winner! Joel Gagnon - Taiso - winner! 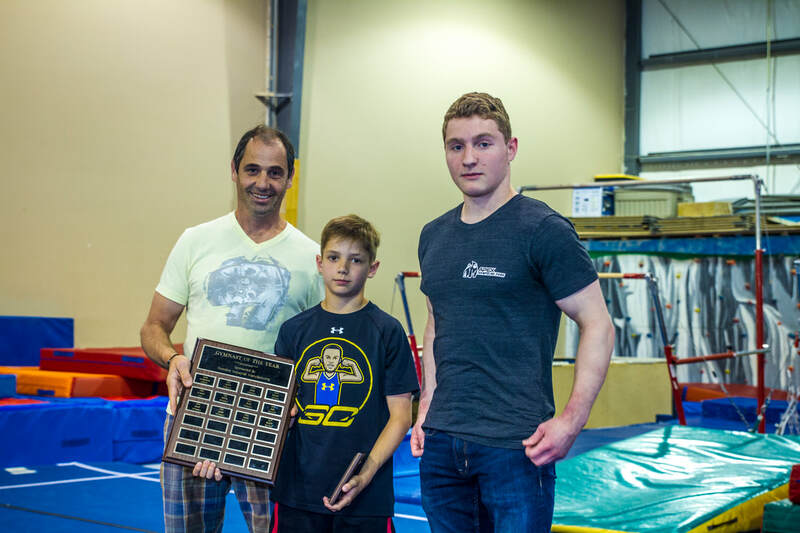 Thank-you to the Kotlar Family for sponsoring the new Gym Cat Athlete of the Year Award! Team Sask received a bronze medal for the team competition. Also, Noah Royer placed 5th in the all-around competition and received a silver medal on parallel bars. Congratulations to our Taiso athletes who are traveling to Gatineau, Quebec to compete in Nationals. Congratulations to our Taiso athletes who traveled to Okotoks, Alberta to compete at the Western Canadian Championships. Congratulations to our Taiso athletes who travelled to Calgary to compete at UCIC - see full results. For full results, see Gym Score Depot. Congratulations to our Taiso athletes who represented our province in Prince George during the Canada Winter Games: Wyatt Tyndall, Teague King, Jesse Tyndall, Mitch Tyndall, Michael Thorpe, and Nicolas Hallgrimson. Special congratulations to Jesse Tyndall who captured a bronze medal on pommel! Come out and play at our Spring Open House on February 7 from 2:00 to 5:00 pm. Good luck to our Taiso athletes who are travelling to Regina to compete in the QCK Invitational! See full results. Congratulations to the Taiso athletes, Wyatt Tyndall, Teague King and Jesse Tyndall, who competed at Elite Canada in Trois-Rivieres, Quebec. Jesse Tyndall finished 1st on P-bars and 3rd on rings. Congratulations to our Taiso boys who have been selected as part of Team Saskatchewan and who will travel to Prince George in February to compete in the Canada Winter Games: Wyatt Tyndall, Teague King, Jesse Tyndall, Mitch Tyndall, Michael Thorpe, and Nicolas Hallgrimson.